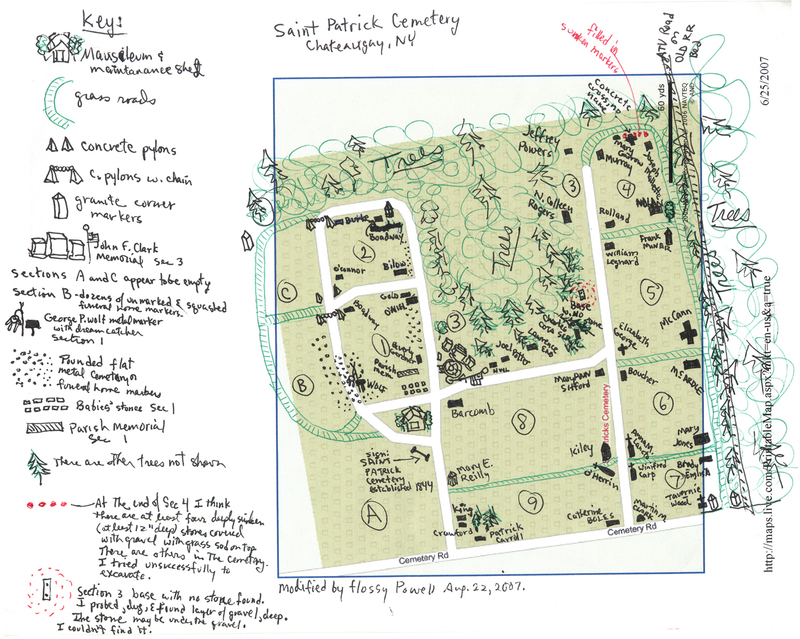 This cemetery was transcribed by Flossy Powell during the summers of 2006 and 2007. For transcription purposes, she divided the cemetery into nine sections. These were assigned arbitrarily and do not correspond with any records maintained by the cemetery association. Click on the map below to see each section of Flossy's transcription. The earliest burial appears to be that of Margaret MULLIN who died Feby. 18, 1845.